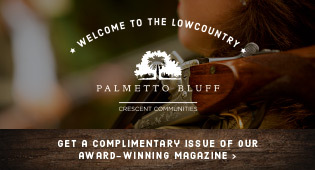 Hilton Head Magazines: CH2/CB2: Nashville. MOM. Country Music. Dave. So Kelly and I just got back from Nashville, TN. We went to see a Dave Matthews Band concert and visit that crazy girl who just moved to Kentucky for a boy (see previous blog). And we almost didn’t go. The tickets had been purchased, we had a place to stay, we were going to visit a city neither of us had ever been to, see a fantastic band and spend time with our best friend in the whole world. And let me repeat. We almost didn’t go. Why, you ask? Well, perhaps you didn’t ask but this is my blog so I’m going to tell you. 1.) It’s too far to drive in 3 days. 2.) We just got the magazine to print and we’re tired. 3.) Our Verizon Heritage houseguests just left and we’re exhausted. 5.) We can go see Dave Matthews anywhere. 6.) We will miss a weekend on the beach. Kelly and I had pretty much convinced ourselves that we were staying home. And then something happened. Mom called. Kelly’s mom convinced us that we were young, and single and CRAZY if we didn’t get our asses in that car and drive to Nashville. Mom knows best and so we did. Yes, it was a long drive. But a beautiful one through the mountains of Tennessee. I think country music is starting to grow on me. We will now go see Dave Matthews Band – AGAIN. We missed a beach weekend, but we live here and barring any major hurricanes, the beach will be here all summer. You only live once so grab onto every opportunity that presents itself. Better to be tired than have regrets.